Overview - Photo-animated feature documentary, uniquely narrated by the 10 people who knew Bill best. Some people simply have a gift. Put them on a stage, hand them a microphone, shine a spotlight, let them speak, and through their words, they will illuminate the world (and make you die laughing as they do so). Stand-up comedian Bill Hicks was such a person. When he spoke, you listened, and the world was a much happier place for it. While popular in the UK, Hicks was mostly underappreciated in his time, and sadly passed away from cancer at the age of just thirty two. 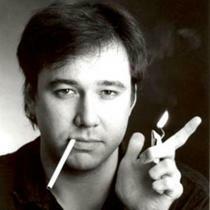 A true original, his impact on the comedy world is still felt today and the documentary film 'American: The Bill Hicks Story' tells the complete tale of Hicks's interesting, but far too brief life. Featuring participants that include Hicks's family, closest friends, and fellow comedians, the documentary is a comprehensive chronicle of an intelligent and deep man who chose to make people laugh as his lifelong endeavor. Basically, everything you would want to know is covered, going through his early rebellious years right through his final curtain call. The film doesn't shy away from the darker aspects of its subject's life, either, and Hicks's difficult descent into alcohol and drug abuse is featured extensively. All of the interviewees come across as knowledgeable and incredibly sincere. You can really tell how much this man meant to each of them, and the stories they tell are both deeply personal and universally insightful. The overall arc of Hicks's life is truly remarkable, but not in some overdramatized manner. This isn't a story about a man who climbed the tallest mountain, or sailed around the world. This is a story about a regular guy who wanted to make people laugh by sharing a piece of himself, by literally ripping open his chest, tearing out his heart and baring his very soul through a microphone, and in its own way, that's an endeavor just as amazing and inspiring as any. Filmmakers Matt Harlock and Paul Thomas bring a fairly unique and interesting style to the proceedings. Deciding to eschew traditional talking head interviews, they instead form something livelier and a bit more in the spirit of their groundbreaking subject. Narration from all the interviewees is placed against wonderfully animated sequences that use actual photographs of Hicks and his friends to recreate the events discussed. The style is rather simplistic, but charming. Intercut between these sequences and guiding narrations are numerous clips from archive footage of Hicks in home movies, as well as amateur and professional tapings of his various stand-up routines. While the newly created animations and interviews drive the story, the filmmakers wisely realize that there really is no better way to reveal the life of Bill Hicks, than to let the man speak for himself. All of the archive footage displaying Hicks's gradual evolution -- from charming, straight-laced teenage comedian, to boozed-out angry drunk, to radical sober master of his craft, and finally, to a more reflective, but not defeated man who sees a far too abrupt end coming just over the horizon -- are the true highlights of the movie. There is a reason his comedy is growing more popular as each day passes, and as soon as you hear his voice boom through your speakers, you know you are about to hear something not only funny, but powerful, insightful, and most importantly, from the heart. While I was somewhat familiar with Hicks before watching this film, my knowledge of the man didn't extend far beyond a few snippets of his various acts. Now after watching his full story told in such an interesting, thoughtful, entertaining, and most of all, honest way, I can truly say I am a fan. If you're already an admirer of Bill Hicks, this film is certainly a worthy and respectful look at the intriguing comedian, and if you're not, you certainly will be by the time the credits roll. Hicks was a man who spoke his mind and was not afraid to be his own person. Even though he met a tragic and untimely end, he celebrated life right up until the universe decided to prematurely yank him from the stage. Though, why wouldn't he? After all, it's all just a ride. 'American: The Bill Hicks Story' comes to Blu-ray in a 1080i/AVC transfer in the 1.78:1 aspect ratio. Like many documentaries, footage comes from a variety of sources and is mainly a combination of archive material, newly conducted interviews, and original animated sequences created from photographs and previous recordings. Due to the variety of sources used, the presentation is quite erratic, but always watchable. The majority of the footage included is of old recordings of Hicks's various stand-up acts taken mostly from standard definition consumer and professional tape. These scenes don't look terribly good and suffer from various upscaling artifacts, noise, lack of detail, and all of the basic limitations inherent to their medium. Other footage seems to come from 8mm, 16mm, and high definition digital, and all vary in quality. Along with the comedy acts, the bulk of the remaining transfer is made up of wonderfully realized animated sequences put together from old photographs. These, and the few new onscreen interviews, look pretty good with some nice detail. Black levels, contrast, and colors vary wildly between sources, and while never impressive, they still get the job done just fine. While not a great video presentation, the faults here are entirely a result of the limitations of the material used. Considering what the filmmakers had to work with, this is about as good as this footage could ever hope to look, and the content more than shines through. The film is presented in a DTS-HD Master Audio 5.1 track with optional English subtitles. This is a pretty basic track, but suits the content well. Dialogue from all the new interviews are clean and crisp. While there are some pops and crackles in some of the archive footage, they still come across fairly well, and are always easy to understand. Surround usage is minimal, but some effects such as crowd laughter do get sent to the rears in a natural and subtle manner. Directionality is mostly absent and dynamic range is pretty flat. Bass has a little bit of kick with some of the music used in the soundtrack, but it's never really noteworthy. Balance between the elements is good, and the narration of the participants is always at the forefront guiding the story. Overall, this is a perfectly fine audio track, that presents the information, and more importantly, Hicks's comedy, in a nice and clear manner. Uh… wow. The BBC has done a pretty amazing job here, packing this 2-disc set with several hours of extra bonus material. All of the supplements are presented in 1080p with Dolby Digital stereo tracks and optional English subtitles unless otherwise noted. Extended Interviews Part 1 (HD, 59 min) - You want your talking heads? You got your talking heads! Four categories of extended interviews with Hicks's family and friends are provided here and are viewable either separately or together. Some topics touched upon include the environment Hicks grew up in and how it may have shaped him, his religious upbringing, some funny anecdotes about his behavior in school, and his brotherly relationship with Dwight Slade. These interviews are very informative and serve to flesh out more of Hicks's early life with almost no material repeated from the main feature. Austin SXSW Panel w/ Bill's friends (HD, 10 min) - This is some footage from the panel at the SXSW Music and Film Festival where the movie screened. Moderated by one of the film's directors, Matt Harlock, the panel includes Steve Hicks, David Johndrow, John Farneti, and James Ladmirault. The group reminisce about Hicks and express why they feel his comedy is still popular today. Dominion Tour (HD, 8 min) - This is an interview with Chris Bould and Charles Brand, the director and producer of Hicks's Revelations show in England. Joined by Hicks's mother, sister, and brother, the two discuss conceptualizing the theme of the famous stand-up show and share stories about shooting its elaborate cowboy opening. Extended Interviews Part 2 (HD, 2 hr) - More extended interviews with Hicks's family, friends, and fellow comedians, available to watch in nine separate parts or all together. Topics discussed include Hicks's amazing confidence in his friends, more on his move to LA, the influence he had on and took from his comic peers, his descent into substance abuse, his popularity in England, and his diagnosis of pancreatic cancer and the aftermath of his death. Like the previous set of interviews, very little information is repeated from the main feature and it all serves to flesh out the details of Hicks's life in an interesting and emotional manner. This is basically a second feature's worth of material. While the standard interviews lack the creative flair and artistic merit of the documentary itself, the wealth of information provided here should please fans. Festivals in the US and UK w/ the Hicks (HD, 15 min) - This is footage of the filmmakers and Hicks'home move down 10 family as they take to the film festival circuit and screen the documentary in various cities. We get glimpses of the Q&A sessions, some press interviews, and audience reactions. Bill's Family visit Abbey Road (HD, 4 min) - This featurette shows Hicks' family touring the famous Abbey Road recording studio in England. While there they bring some rough musical recordings Hicks made while on the road to be remastered for commercial release. UK 15th Anniversary Tribute (HD, 8 min) - This is a look at a special tribute held in England in honor of Bill Hicks which features clips of his routines and live stand-up from contemporary comedians. There isn't really much of interest here. Comedy School (HD, 19 min) - These are some extended interviews with Dwight Slade and James Ladmirault focusing on the art and psychology of stand-up comedy. Some information is repeated from the main feature, but most is new and does offer some worthwhile insight into the addictive and complicated nature of comedy. Dwight in London (HD, 6 min) - This is a brief interview with Dwight Slade discussing the differences between performing in the states and in the UK that features some footage of his mildly amusing stand-up act. Making of Arizona Bay (HD, 19 min) - In this featurette, Kevin Booth discuses the making of Hicks's comedy album along with some interesting home video footage of the two of them working on the recordings. The Ranch (HD, 8 min) - This is a tour of Kevin Booth's ranch where he and Hicks used to hang out and experiment with mushrooms. Booth goes on to describe how it was like a safe haven for them, and offers a few more insights on his deep friendship with Hicks. Deleted Scenes (HD) - Seven very brief deleted scenes are presented here. They include some extra bits about Hicks's ultra low budget karate comedy 'Ninja Bachelor Party', Hicks's rock performance at a high school talent show, and writing for Rodney Dangerfield. Early and Alternate Scenes (HD) - Seven short early and alternate cuts of material featured in the main film are included here. Frankly, these are pretty disposable and don't offer much value. Rare Clips (HD, 30 min) - This is about a half hour's worth of rare stand-up material and other footage broken up into eighteen clips. There are some real funny bits here spanning Hicks's career and the trailer for 'Ninja Bachelor Party' is definitely a highlight. Audio Journals - Three audio recordings of Hicks are included here with no subtitle options. They are titled: Bill Lonely in LA 1981 (3 min), Bill Leaves New York for LA 1992 (4 min), and a Rare Interview with Nick Doody 1992 (28 min). The first two recordings offer some brief, but interesting insight into Hick's emotional state during some important parts of his life and the interview features a pretty comprehensive conversation that covers everything from Hicks's influences, to his attitude toward his audience, view on politics, and even his interest in UFOs. Audience Reactions Trailer (HD) - A trailer for the film focusing on reactions to screenings by audience members. 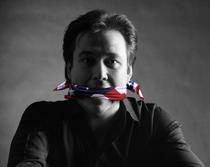 'American: The Bill Hicks Story' is a creative and truly inspirational look at a fascinating and hilarious comedian. The video presentation isn't the strongest, but it looks about as good as the material can and the audio is decent enough. The BBC has provided an overwhelming assortment of actually interesting supplements that will give fans of Hicks hours of material to go through. This is a great disc and a wonderful film that comes highly recommended.